Managing a rejection can get you a job. Managing an offer can help you negotiate a better contract. Taking care with the way you respond to a job rejection is important. It can pave the way for a job seeker to find a job. Years ago I interviewed for a faculty position at a state university in North Carolina. My current job wasn’t going so well and with pressure from the administration and the added emotional trauma, it was nice to get a call for an interview. I didn’t feel as trapped. It was Spring and the weather was beautiful and much warmer than in northern Illinois. After the interview I returned home, assessing the position and what I had learned. Something about the position didn’t feel right. I couldn’t put my finger on it. Two weeks later, the letter came. They had chosen the other candidate. The rejection stunned me temporarily. About a day later I realized that I was relieved. Relieved to get a rejection? No! Deep down I knew that was something not right. The job was not a good fit. There was something unhealthy about the department. Three years later I met up with the person who was offered and accepted the position. He was beside himself. The position was nearly impossible and he was so frustrated that he was seriously ready to give up his career path and sell cars or computers. Anything. The lesson was simple. It’s nice to be wanted. Rejection is always difficult. You may receive the information through a phone call, an email, or a letter. You might even find out the news from someone else—even the person who may have landed the job! Regardless of how you find out, it’s time to take action. Why should you respond to a job rejection? 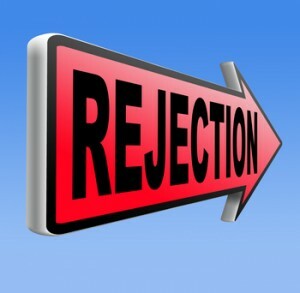 Although a current opportunity may not be available to you, handling the rejection could lay the foundation for future consideration. Hiring professionals know that this kind of news is difficult. If you handle it in a respectful manner, it gives a clear and positive message about the depth of your character. Follow-up with a hand-written thank you note. Thank them for their interest in you. Send them your best wishes for their success. Give your email address and phone number. Respond with a short note. Compliment the company and their process. Ask to be considered for other positions. Send them your best wishes for their future success. Should you ask for feedback? At Forward Motion, we advise caution about this. Since you didn’t get the job, if you ask what went wrong, then the rejecting company may feel like they have to give a reason. There may be legal ramifications as well. If you receive a negative review, think it through carefully and do not allow the information to cause negative thinking. Also remember, it is one person’s opinion. Learn what you can and move on. If you’ve been invited to interview for a position, it means that you have worked your way up the ladder through the online filters, and possibly through several sets of interviews with different people who have different needs. For example, a Human Resource Professional will focus on whether you work well with others, and how well you might adapt to the company culture. However, a hiring manager may focus more on your skills, your experience, and determine how well you can do the job, how quickly you can “ramp up” and become productive. Regardless, you can assess how far you are getting in the hiring process. Interviewing requires several sets of skills. It takes time to learn and understand the components that lead to success and it’s difficult because no two interviews are alike. Consequently, a candidate may understand the elements of a successful interview, but putting them into action, in the moment, takes practice. Thinking through your interview, identifying any points that may have caught you off guard, and practicing those elements, will add to your skills and prepare you for the next round. Need an interview? Consider a Forward Motion Differentiation Workshop. Once you have made it through the interview process, the waiting time can be difficult. Finally, you receive a phone call, email, or letter and you find out if they want to hire you… or not. The situation is challenging regardless of the news. Whether you receive an offer or a rejection, emotions are running high. Ask about the details of the offer: start date, base salary, commission, bonus, vacation time, etc. Request a day to review the offer. NOTE: Do not negotiate any part of the offer at this time. Is the job a good fit? Do you like the work that you will perform? Will the compensation meet your financial needs? Discuss the offer with a professional or someone who is knowledgeable. Once you know the market value for the position, you may be in a position to negotiate. Remember that salary is not the only negotiation point. A client added $6,000 to her income by negotiating a fleet vehicle and a gas card as part of her contract. Ask what you need to do before your first day of work. Ask what you should bring with you on your first day. If you are unsure of the dress code, ask about appropriate attire. Consider a Forward Motion Differentiation Workshop, where you will learn how to navigate the online application systems and differentiate yourself both on your résumé and in your interview. Click this link to learn more. Forward Motion Differentiation Workshop. 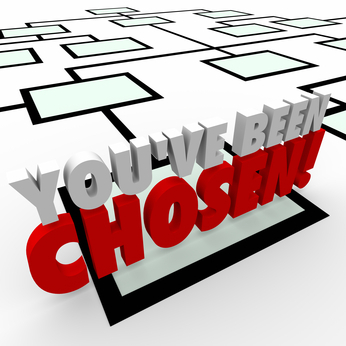 When I had graceful applicants that were rejected, I never minded trying to find a different match for them within our company. A simple, “Thanks for the opportunity, and keep me in mind for any future jobs,” really goes a long way. Well said Elizabeth. Your response would be my first choice. It is gracious, professional, and leaves the door open.